As the saying goes, “time flies when you are having fun!” - Most definitely what TWTC have had so far this year. The second school term for 2014 has been very active with assembly talks, depot tours, school visits and events. With the start of the third term, TWTC would like to encourage all schools, churches and other involved organisations not only to actively recycle, but to spread the green gospel amongst friends, family and colleagues. People should be more aware of their carbon footprint, or the impact that their actions as an individual has on the environment. With regards to waste, consumers have to adopt a “cradle-to-grave” mindset – always considering where the packaging goes after the product has been consumed. “We cannot afford to look at waste as rubbish! Recyclables are products, resources – they are used in the production of new products, which means that they are not going to landfill and even more importantly that natural resources do not need to be extracted, “ says Kay Hardy, general manager at The Waste Trade Company, “this is one of the many reasons that we have implemented The Schools Recycling Project, to enable the general consumer to have access to a recycling facility, whilst educating their children and raising funds for their school – nobody should have an excuse not to be able to recycle. This being said we would like to congratulate our winning schools for leading the way in greening the bay!”. 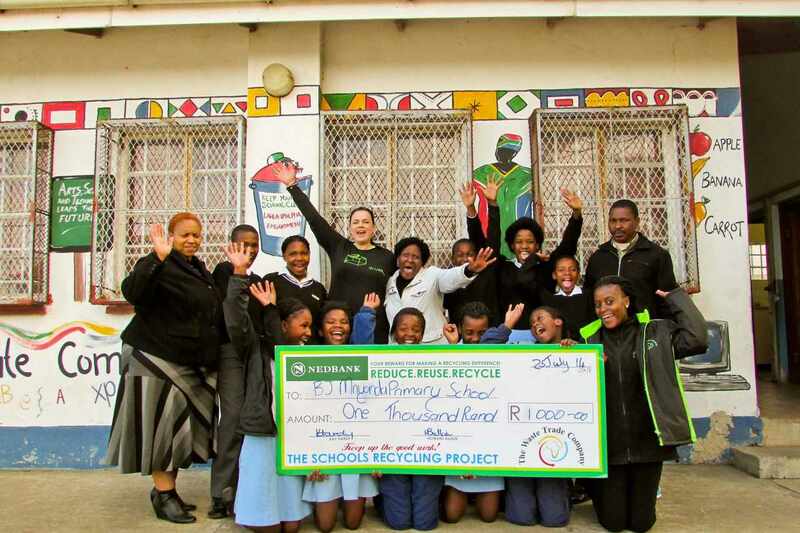 Leader of the pack, Sunridge Primary, with a total weight of 12220kg, is delighted to once again be the number one recycling school. Runner up Kabega Primary, with a total weight of 8067kg, already has big plans for their Groenspoor prefects for the rest of the year. BJ Mnyanda Primary, in third place with a total weight of 6597kg is very grateful to be a part of TWTC’s Schools Recycling Project.